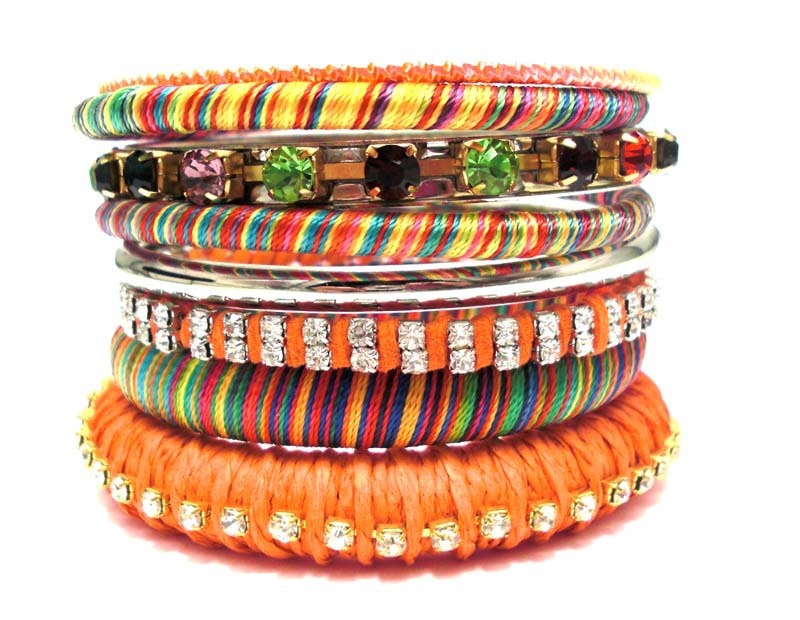 Multi Color Bright Spring Color of Wholesale Bangle and Bracelet. Mixed Metal Bangles and Wrap Bracelet. Bangle Set Jewelry.